I shared this little tip on Instagram a few days ago and it was so popular I thought I’d share it here too! STEP 1 | Sew one side of your invisible zip as usual. Close the zip and mark the seam position on the zip tape with chalk. 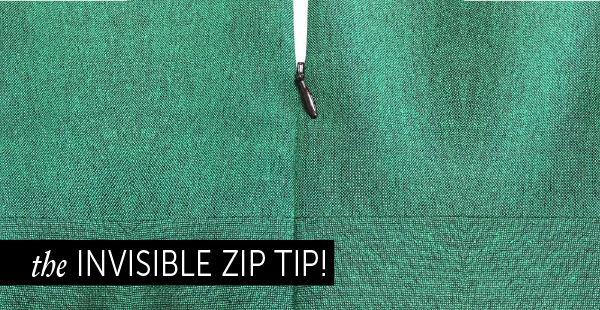 STEP 2 | Now when you place the other side of the zip use the chalk mark to align for perfect seam matching! TA DAH – zip perfection! You’re very welcome! Perhaps I’ll try and think of more quick tips!